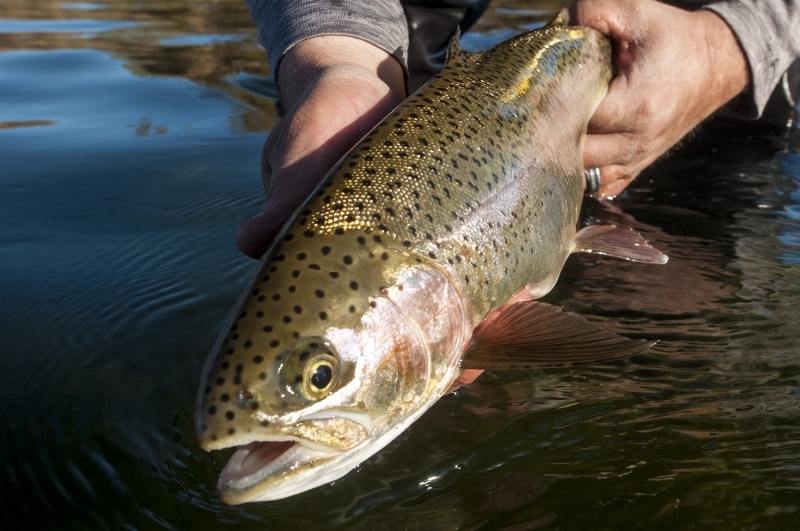 If you need to get your dry fly fix before winter sets in, then you need to get to the Ranch! We are seeing amazing beatis hatches daily. If you find yourself up here, you’re going to want to be on the water around 11:00. Plan on seeing fish rising for three to four hours depending on weather. A #20 or #22 sparsely tied B.W.O has been doing the trick. There are also a few Mahoganies around so don’t be afraid to fish a #16 Mahogany Dun. This week I had the pleasure of fishing with my youngest son Grayson. We decided to give the Box a try. We had a great day! While the flows are currently only 71cfs the fishing in the box has been excellent. Grayson and I started our day at the upper campground and walked down river. We found a good run that looked promising. We fished a #18 Brown Zebra Midge with a #18 Red Zebra Midge behind that. 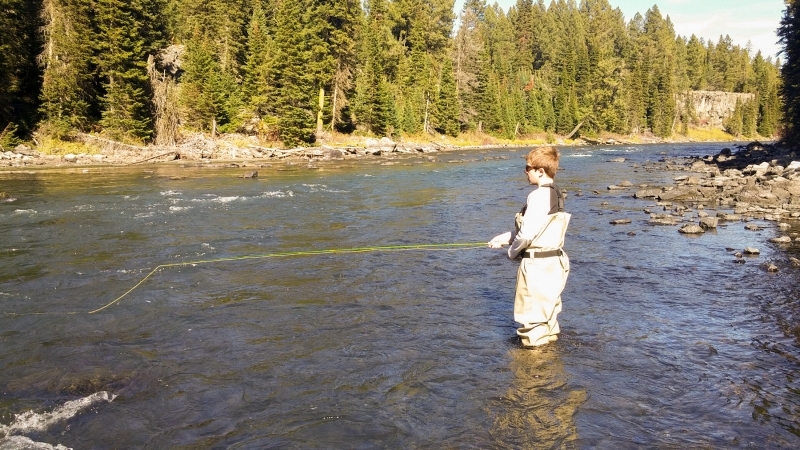 Grayson made a few nice roll cast, mended his line perfectly and was hooked up! It was a real pleasure for me to watch my son fish. In the past it would be me making the cast hooking the fish and letting him reel them in so to watch him do it all on his own was a great experience. I hear a lot of folks asking how to get our youth involved, its real simple, all you have to do is put them in the truck and take them! Also bring all your patients with you. I can’t count how many times I have been fishing a great run just to have a rock sail out of nowhere and land next to my indicator or how many times one of my kids has fallen in the water 10 minutes after we have arrived. My daughter running around freaking out because there are too many gross bugs crawling around. I would not trade a single experience that I have had with my children on the water or in the field. So turn the x-box and tv off load them up in the car, Drive to where there is no cell service and watch what happens! You will have a life time of great memories. I just don’t have a whole lot of new information to report for the lower river. I will say that the fishing has been very consistent and as long as the weather holds it should continue. This is such a great time of the year. The Browns are starting to be aggressive and the hatches of Blue Wing Olives have been epic. I would have #18 and #20 Hackle Stackers. I would also suggest a handful of smaller bead heads #18 brown, red and black Zebra Midges will work well. The Teton is another great option this time of the year.Float or wade the Teton and I think once again you will have some great fishing. As far as patterns go I would have plenty of small bead heads and your favorite Blue Wing Olive pattern. 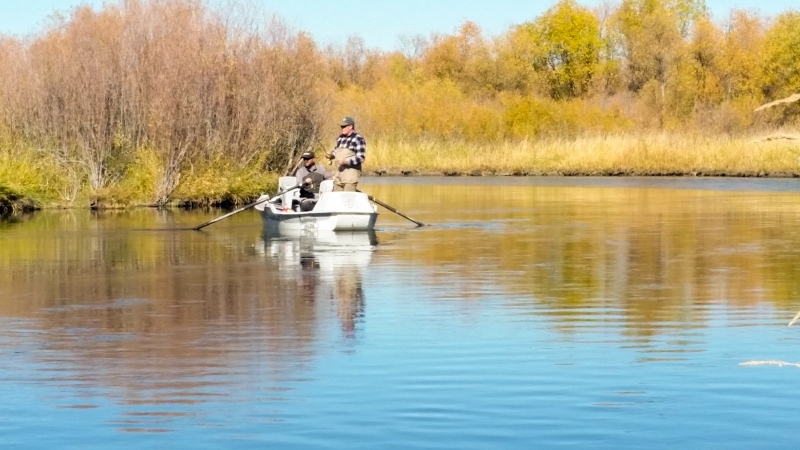 It’s also a great time of the year to fish streamers on the Teton. I like Wool Head Sculpins in tan and Olive. A Sparkle Minnow will also turn some heads. The flows on the South Fork are a little over 3000 cfs and with all the exposed riffles the fishing has been good on the South Fork. There are still a few Mahoganies around but the Blue Wings are around in good numbers. Fishing the banks with streamers has been effective and I still would not be afraid to fish the banks with Hoppers. As always on the South Fork don’t be afraid to fish the back eddies with smaller bead heads and rubber legs patterns. There is not much in the way of new information on the Madison this week. Small beads and Blue wings around mid-day. I would also have streamers for the Madison. If nothing else is going on a streamers in the fall can really be effective! The Madison in the park has been very good. 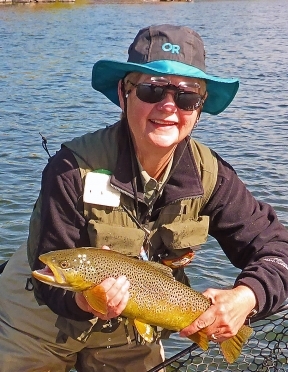 Fishing streamers in the runs has been producing a lot of Brown Trout. I would also fish bead heads, a #16 Pheasant Tail with a #16 or #18 Prince Nymph will work well. 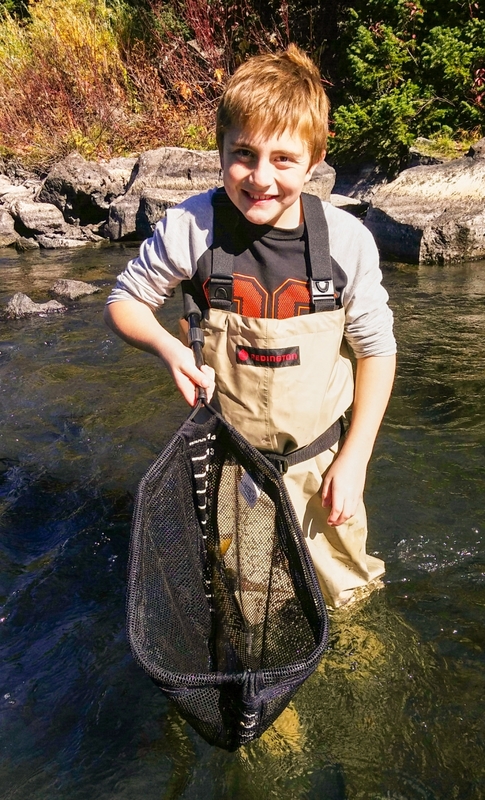 The Fire Hole continues to fish well with Blue Wing and should fish well until it closes. The second Sunday in November is when the fishing will close in the park. Henrys Lake is still fishing very well. Most folks are concentrating efforts at the state boat ramp and having great fishing. As far as patterns go Scuds and Leeches seem to be at the top of the menu!